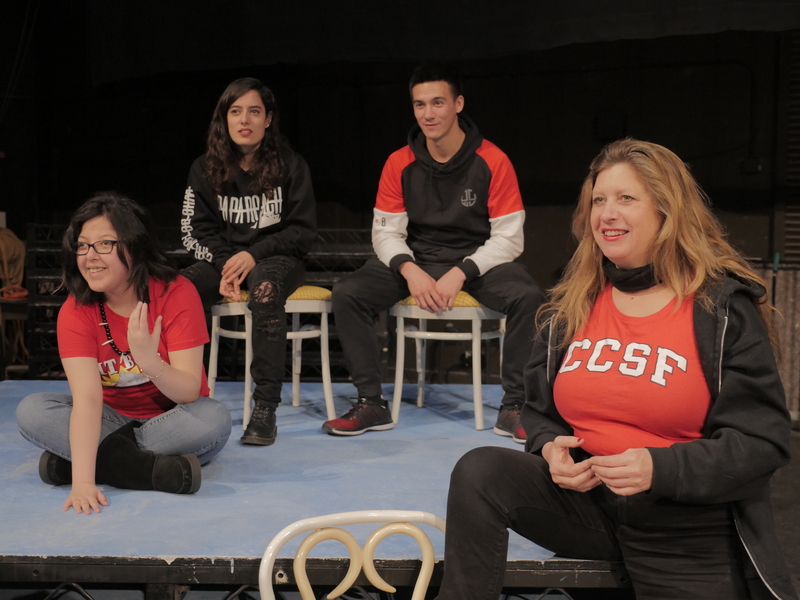 After taking the Teaching Men of Color course in 2017, City College Theatre Department professor Patricia Miller has been expanding opportunities and equity to people of color by changing the class syllabus in her Acting Fundamentals and Improvisation courses. Offered by the office of Student Equity, the Teaching Men of Color course provides City College faculty, staff, and administrators with strategies and approaches to foster enhanced learning, development, and success among male students of color. 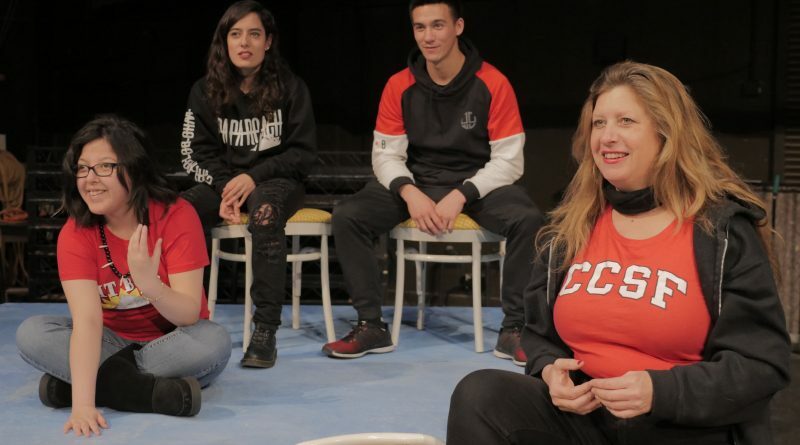 Miller’s upcoming contemporary performance project “Can You See Me?” will be a collage of several scenes that portray the life of people of color, women, and LGBT writers. “Since 1985, I’ve been doing acting, directing, and teaching,” Miller said. Having grown up in North London, Miller attended an all girls school, up until she went to college. Miller received two master’s degrees, one in Theatre and Media Studies at Hull University in England and another in Theatre Directing at UC Davis in California. Miller is well-known for her professionalism in theater as an actor, director, and producer. At City College, the instructor’s different take to teaching students provides a fresh outlook on the academic culture on campus. In 1992 Miller gave up theater for a moment, enrolling in City College as a film student. She later became a professor in 2015 doing part time teaching, however it wasn’t until August 2018 that she became a full time instructor. Since then, she continues to fall in love with City College for its openness and opportunities. “City College is the place to be. Here is where I want to work, and these are the people I want to work with,” Miller said. Miller was the only part time professor who took the Teaching Men of Color course two years ago. “I am nosy as a director,” Miller said, “I wanna know what the best teaching practices are,” she concluded. For Miller, two aspects of the course really stood out. “It endorsed what I was doing and gave me a framework to amplify it [men of color], to really respect [them],” she stated. Another was having an incredible community of very diverse teachers, who differ in culture, gender and subjects. This helped to discuss the visibility, or visible minority group of certain populations. The class did emphasise one section of visibility, particularly for African American men where teachers didn’t want to mention sports and entertainment stars as the only successful type of black men. “For the geologist and physicists, there was great information… as a person who teachers entertainment, that was challenging… I had to think harder, who are the African American men that are as successful as directors, writers, and designers,” Miller said. Many professors tend to hand out the same material in classes, using the generic model of brilliant white men to exemplify the class syllabus. “They are great actors, but they are old white English guys. It’s much more interesting to watch Viola Davis, an African American woman who has an Oscar for her acting… It’s a breath of fresh air for everybody,” said Miller. When Miller brought in writers and producers who were people of color, it allowed for a cultural exchange and enriched each student’s learning experience. They began to perform material that people can relate to whilst observing material that people don’t often understand. “I’ve heard students saying ‘I love this piece because it sounds like me’, they can really relate to it,” Miller stated. Next month there will be Diversity on Stage Discussion which will be open to all students. There will be representatives from the Asian American, Latina, African American, and LGTBQ communities. There will also be women and successful people of color from the Bay Area that will speak on whatever topic the students would like. For more information, please visit http://bit.ly/CanYouSeeMeCCSF.